XY vending members are sharing a proud belief : doing business the right way &ndash; dealing honestly and ethically with customers , suppliers , and woking hard to meet or exceed the expectation of customer . XY Vending has its own production base including the sheet-metal processing department , Painting department , assembling department. XY vending has it own management software and wireless communication technology along with its full line of vending equipment. Vend a variety of selections in the same machine. Self-check function avoids crash in machine running. When selections of the machine are out of stock, it can check by itself. For other payment terms, please contact us for details. We can hold 23 kinds of drinks with the maximum reserves of 420 bottles (irrigation). We can hold 23 kinds of drinks with the maximum reserves of 420 bottles (irrigation). 2.GPRS check fuction is optional 3.Accept 150 countries Currency Insualation 1.2x10mm heating glass vacuum technique. Refrigeration 1.R134a refrigerant 2.Temperature 3&deg;C-12&deg;C In 41&deg;C envioronment 3.Compressor: Embraco cooling unit About us We are vending machine manufacturer since 2002, located in Hangzhou,China. Have 380 fellows, incuding 18 technique engineer,15 experienced QC,and 286 worker assemble and make the machine. Hubei Chunchuan Electronic Technology Co., Ltd.
Qingdao Zhilin IOT Technology Co., Ltd.
Related Products 1.Q:Are you a factory or trading company9 A :We are a factory. 5.Q:How does your factory do regarding quality control9 A:Quality based. LE people always attach great importance to quality controlling from the very beginning to the very end. 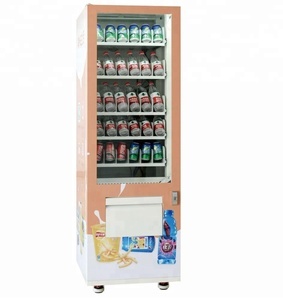 Alibaba.com offers 2,873 combo vending machine products. About 97% of these are vending machines, 1% are coin operated games, and 1% are coffee makers. 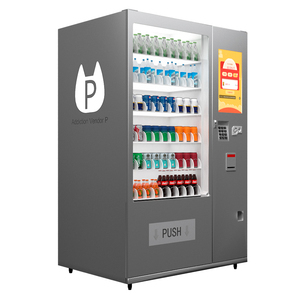 A wide variety of combo vending machine options are available to you, such as paid samples, free samples. 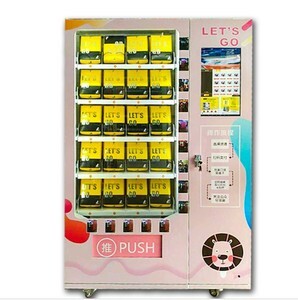 There are 2,888 combo vending machine suppliers, mainly located in Asia. 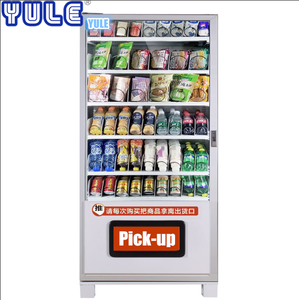 The top supplying countries are China (Mainland), United States, and Turkey, which supply 99%, 1%, and 1% of combo vending machine respectively. 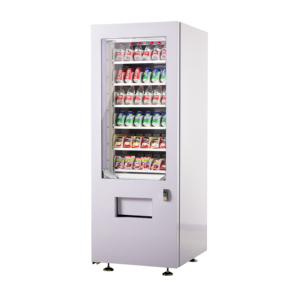 Combo vending machine products are most popular in Southeast Asia, North America, and Domestic Market. You can ensure product safety by selecting from certified suppliers, including 964 with ISO9001, 437 with ISO14001, and 166 with Other certification.